Location: Between South Main Street and SE 4th Street. 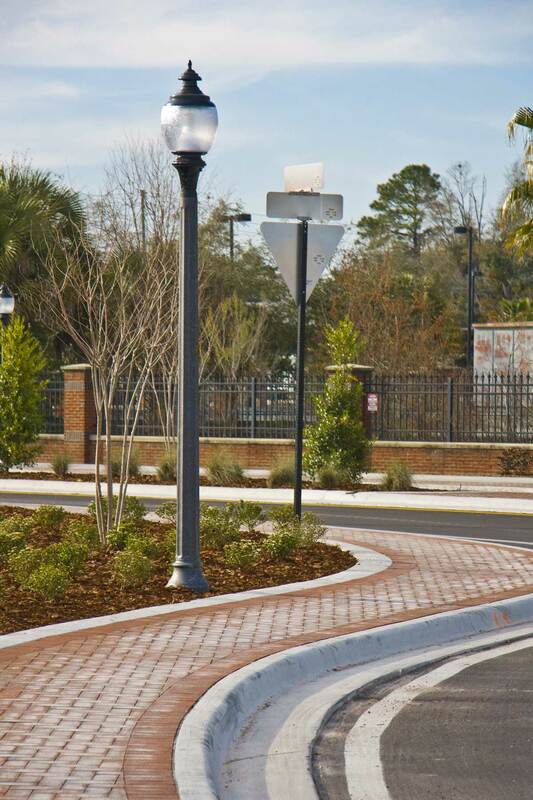 The Depot Avenue Hardscape and Lighting project is a partnership between the CRA and the City of Gainesville Public Works Department to structurally and aesthetically remake Depot Avenue as a gateway to the Power District. The CRA funded the incremental cost to upgrade the design to durable, decorative sidewalk brick paving and native landscaping. The CRA also funded the incremental cost to upgrade lighting to decorative pedestrian light fixtures. The result is a more inviting pedestrian experience that will enhance the Power District, home to GRU, businesses, vintage homes and Depot Park. Phase 2 improvements were completed in early 2011.